A very tasty snack preperation. Will beat McDonalds any time of the day. Fry the burger buns in a frying pan with slight use of butter. 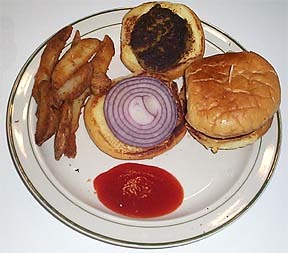 Slice up some onions and make the burger with the Shammi Kabob . 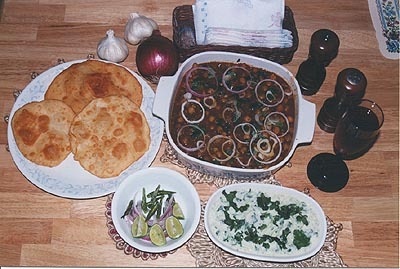 Cholle Bhatura is one of the most famous fast food in North India. Lots of Thellas (four-wheeled cart used by street vendors) make this fresh while people are waiting. This is a all time favorite. 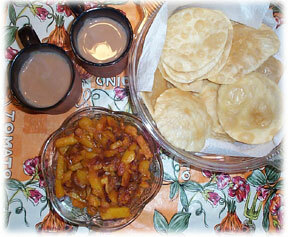 You make the Cholla seperate and the Bhatura seperate. 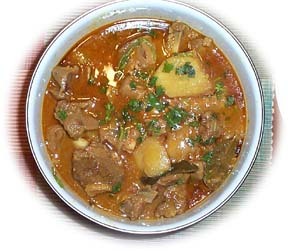 Serve on the side some lemon or mixed pickle along with some onions finely sliced. Make sure to serve it hot as it is the key for proper taste. This is great menu for tiffin, and also is fully vegetarian. Very fast to make and tasty to eat. To make the puris faster use a tortila maker. 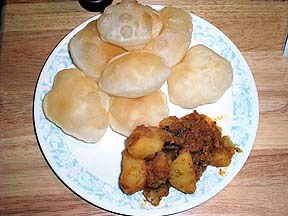 Also serve the puris hot as they are prepared. 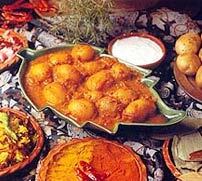 The potato (alu) dish is also very very simple to make and takes less than 30 min. So this entire brunch menu can be prepared in less then 45 min. Oh!! Do not forget hot masala tea. 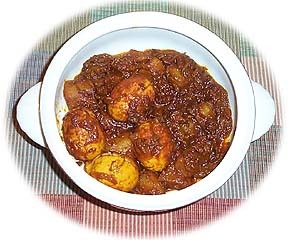 Tasty preparation of spicy Egg curry with potato.